professionals who come into contact with sufferers from this illness. Frankie Campling suffers from CFS/ME and provides telephone support for others like herself. Professor Michael Sharpe is a Professor in Psychological Medicine at The University of Edinburgh. 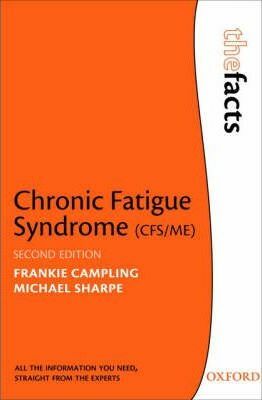 He runs specialist clinic services for CFS/ME and has published widely on the illness.